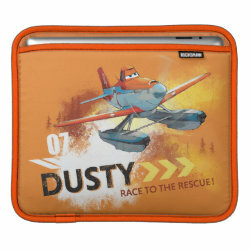 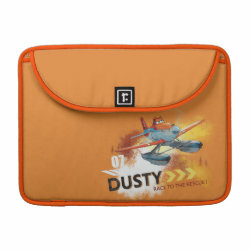 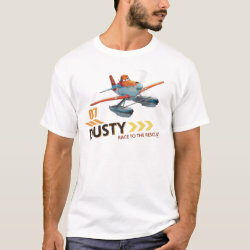 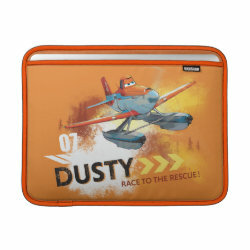 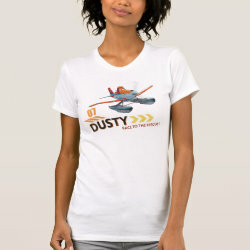 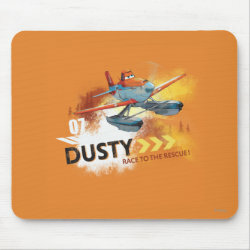 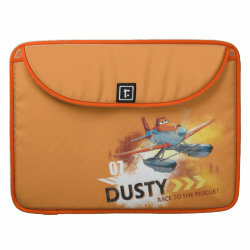 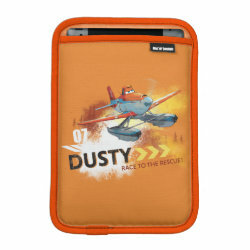 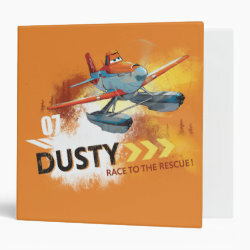 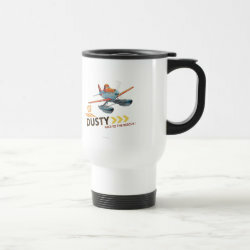 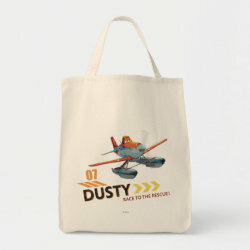 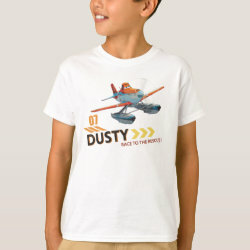 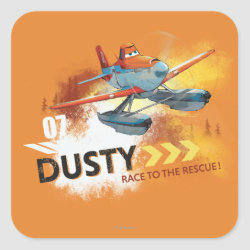 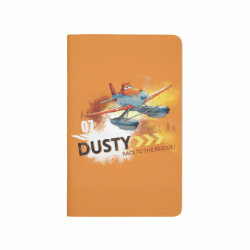 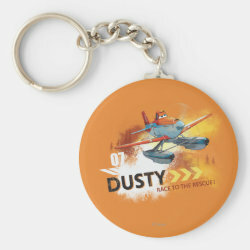 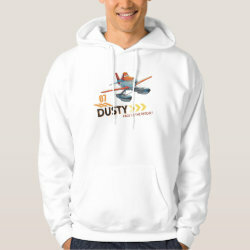 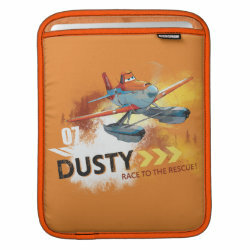 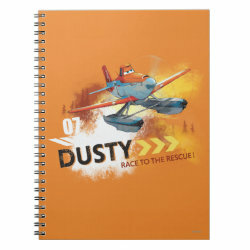 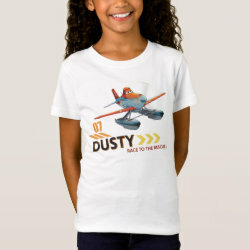 Dusty Crophopper from Disney's animated feature films Planes and Planes Fire & Rescue is featured on this design dropping water on a forest fire. 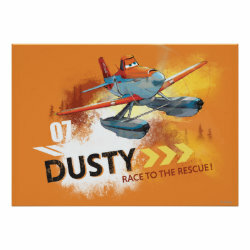 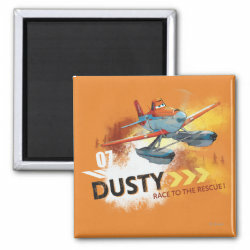 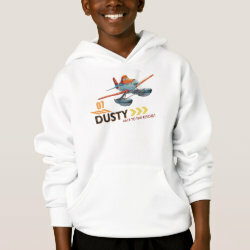 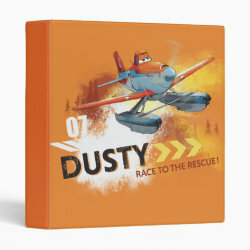 Dusty's name is printed along with the text "Race to the Rescue". 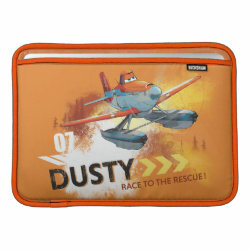 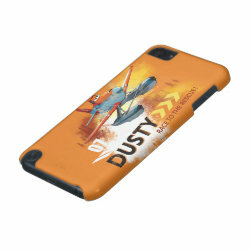 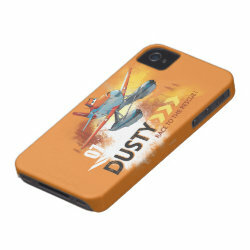 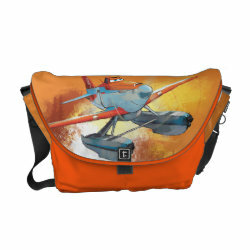 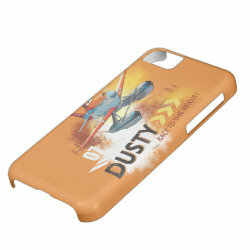 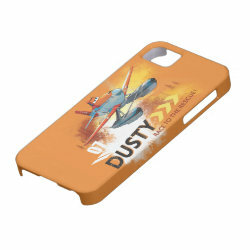 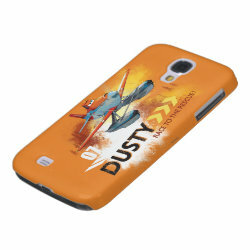 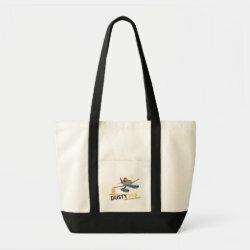 Great gifts here for fans of the Planes animated feature film franchise.